Place freekah and lentils in separate small saucepans, add some water and place on to heat until boiling. Reduce temp and simmer until they are both just cooked. The freekah will be done first. Drain well in a sieve and rinse the lentils under cold water and drain again. Allow to cool. 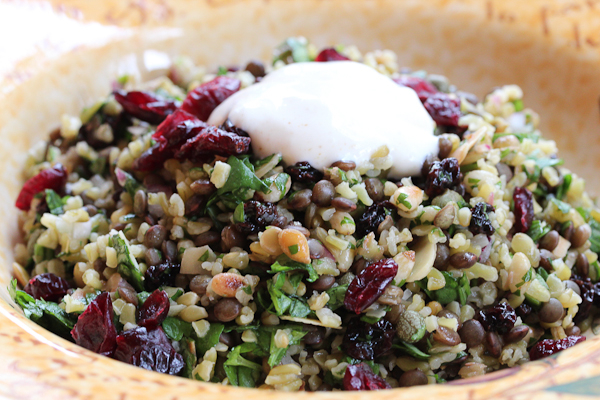 Divide between 2 bowls, top with pomegranate seeds and a dollop of the dressing.